Contact us today to discuss how we can assist with your fluorescent lighting. Do your energy-saver lamps flicker – even when they are turned off? Compact Fluorescent Lamps have become very popular as energy savers. The shapes they come in are growing but most of us know them as the “pigtail” lamps with the tube folded up into a corkscrew, loop, or spiral. Commonly called CFLs or energy-savers, the lamps are actually a small fluorescent tube with some electronics. 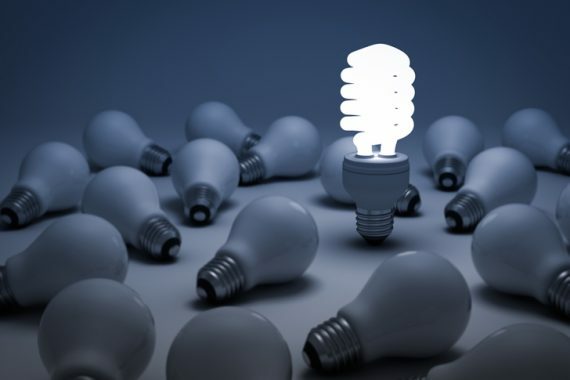 As the cost has come down and we all become more energy and cost conscious, compact fluorescent lamps have found their way into a very broad range of applications. We have seen a number of installations where the CFL flickers dimly, when the power to it is off. This isn’t dangerous, and in most cases isn’t noticeable unless you look directly at the lamp in the dark. In cases we’ve investigated the cause has been the same. 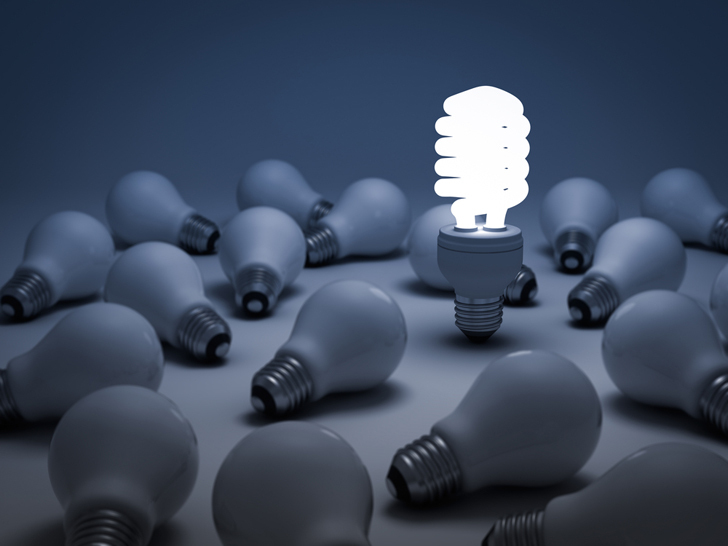 CFLs use very small amounts of electricity and sometimes there’s enough interference (or “pickup”) in the wiring to the lamp to make it glow or flicker. Where it is most likely to happen is where you have “two-way” switching with two or more switches to allow the light to be turned on or off from different locations – usually in a hallway or down stairs. The way these switches are wired makes it more likely there will be electrical pickup between the supply wire to the switch and the wire going to the light. We’ve seen several installations where the light on the stairs was seen to flicker dimly even when it was switched off. Turning on the switch at either end operated the light normally. Different makes of CFL seem to be more affected than others so simply trying a different CFL may fix the problem. Otherwise, if it is an annoyance, the best solution is just to fit a standard “old” tungsten filament lamp. If that doesn’t fix the problem, give us a call – We work across the greater Wellington region and are happy to investigate and resolve.